Mikayla Kitchen has been selected as the 2019-2020 Kansas HOSA Vice President. Mikayla went through an interview process with the KS HOSA Advisor and KSDE on Tuesday, April 9th. President and Vice President are the only two positions of the nine officers with an official title. 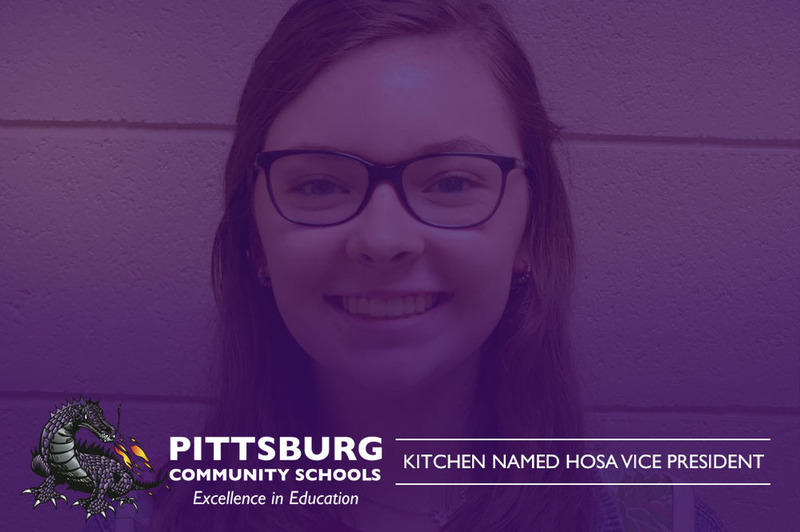 Mikayla will represent Pittsburg High School and KS HOSA at various meetings, spring and fall leadership conferences, and meet with representatives in Topeka. In the fall, she will likely attend the Washington Leadership Academy in D.C.